All the Italy and France tour packages can be fully customized. Services available for private big groups and groups by travel agents and tour planners. Looking for help with planning an upscale or luxury vacation to Italy or France? Let Well Arranged Travel customize your own Italy and France tour package. 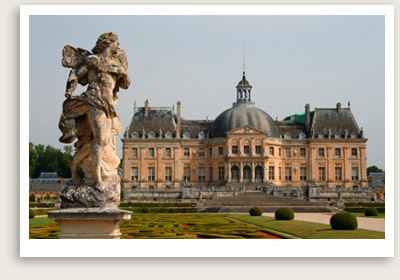 Italy and France tour packages and fully customized vacation packages are available. Contact them for already built or customized itineraries for travel to Italy or France or both countries. They work with schools, private organizations, couples and families for private groups, couples, schools or families. Well Arranged Travel custom designs upscale and luxury customized vacations to Italy, France and other European cities like Switzerland, Spain and London where they have solid partnerships. The tasks and challenges of organizing vacations or events can be overwhelming, particularly if your destination is abroad. At such times, you need a company that is well established, reputable, experienced and has a wide range of travel expertise and services. Based in the United States, Well Arranged Travel has been in business since 2004. They know what it takes to execute successful, worry-free and stress-free vacations. They provide expert advice and guidance from the planning stages to the day of your tours.